Hye all readers ceritahuda.com. 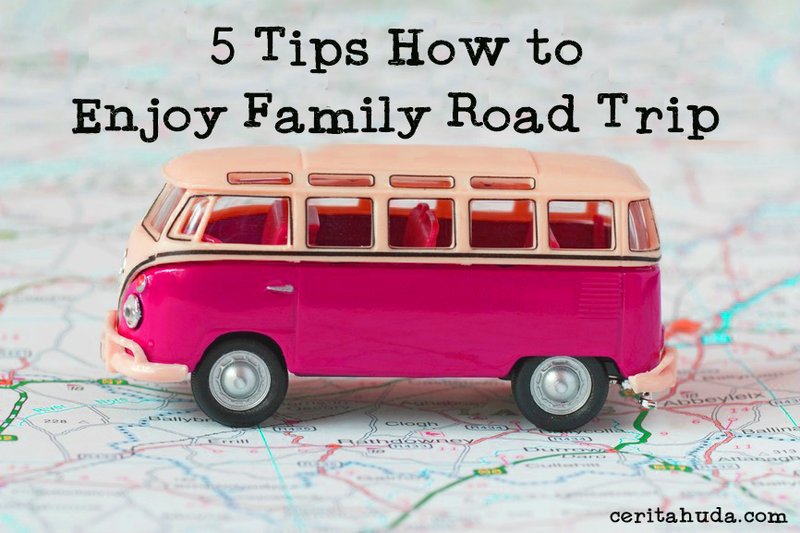 Today i want to share a very good tips about how to enjoy a family road trip. Next weekend, i'm planning to go somewhere, wish to celebrate my Arif Hakim third birthday and enjoy a week school holiday. So, travelling with the kids in long hours on the road is not easy, as they easily get bored and keep asking " Are we there yet?" Road trip with kids in the car should be about seeing more and doing more. On a family road trip, never pass up a chance to pull over to check out interesting place and nice view then capture it for forever memory. “That flexibility is exactly what makes for a great trip"
Gadgets like iPad offer up short-term thrills. Pack drawing tablets, comic books, travel games, and other low tech stuff on family road trips. For instance, i will bring along colouring book, pencil colours, maths activity book and other suitable educational toys to make my kids busy. Everyone will stay cool and happy when car environment is clean. Practice a habit to toss trash at every stop and tackle messes immediately at every stop with any rubbish or plastic bags stashed in every door. Don’t neglect personal hygiene on family road trips, make sure hair cream, compact powder and lipstick in your travel backpack. So you’re inspired to be in family photos, not just take them. Spending a few minutes apart is sometimes the key to maintaining harmony while road tripping with kids. Pull over on a regular schedule even if no one needs a potty. Bathroom breaks offer a chance for kids to crawl, run and give parents to relax and enjoy coffee together. You will never, ever be prepared enough for a road trip with kids. So try to be calm no matter what happen along the road trip. Give chance to your kids to enjoy the trip and say "YES" more often to anything they ask. Someday, you will look back on this family trip experience and adventure is an amazing journey.
" We can’t know what’s going to happen. We can just try to figure it out as we go along"
Can't wait for my family road trip.. thanks for the tips.